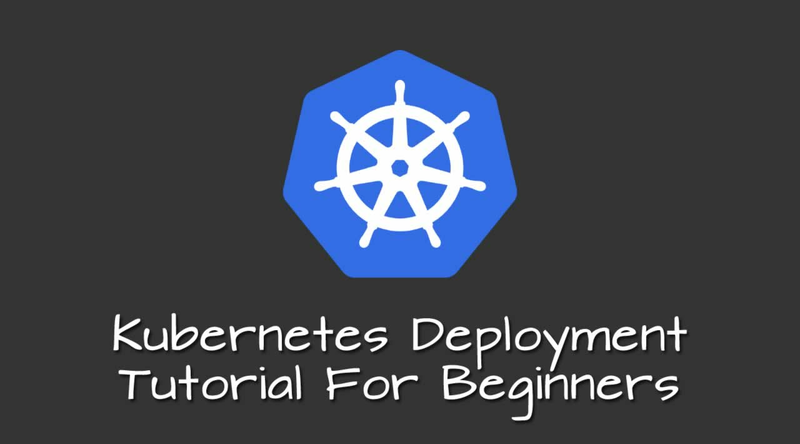 Kubernetes deployment tutorial guide will explain the key concepts in a Kubernetes YAML specification with a Nginx example deployment. In Kubernetes, pods are the basic units which get deployed in the cluster. Kubernetes deployment is an abstraction layer for the pods. The main purpose of the deployment is to maintain the resources declared in the deployment configuration to be in its desired state. A deployment can be a YAML or JSON declaration. A Deployment can schedule multiple pods. A pod as a unit cannot scale by itself. A Deployments represents a single purpose with a group of PODs. A single POD can have multiple containers and these containers inside a single POD shares the same IP and can talk to each other using localhost address. To get access to a Deployment with one or many PODs, you need a Kubernetes Service endpoint mapped to the deployment using labels and selectors. Deployment should have only stateless services. Any application needs to store the state should be deployed in Kubernetes StatefulSet. Kubernetes deployment Yaml contains the following main specifications. Now let’s look at each specification in detail. This specifies the API version of the Kubernetes deployment object. It varies between each Kubernetes version. **How To Use the Right API version: **Kubernetes contains three API versions. These APIs could belong to different API groups. An example list of Kubernetes APIs from different API groups from Kubernetes version 1.10.6 is shown below. Deployment object belongs to apps API group. You can list these API on http://localhost:8001/ using the kubectl proxy. Kind describes the type of the object/resource to be created. In our case its a deployment object. Following are the main list of objects/resources supported by Kubernetes. It is a set of data to uniquely identify a Kubernetes object. Following are the key metadata that can be added to an object. Labels: Key-value pairs primarily used to group and categorize deployment object. It is intended for an object to object grouping and mapping using selectors. For example, kubernetes service uses the pod labels in its selectors to send traffic to the right pods. We will see more about labels and selectors in the service creation section. Name: It represents the name of the deployment to be created. Namespace: Name of the namespace where you want to create the deployment. Annotations: key-value pairs like labels, however, used for different use cases. You can add any information to annotations. For example, you can have an annotation like "monitoring" : "true and external sources will be able to find all the objects with this annotation to scrape its metrics. Objects without this annotation will be omitted. There are other system generated metadata such us UUID, timestamp, resource version etc. that gets added to each deployment. Under spec, we declare the desired state and characteristics of the object we want to have. For example, in deployment spec, we would specify the number of replicas, image name etc. Kubernetes will make sure all the declaration under the spec is brought to the desired state. Spec has three important subfields. Since we have looked at the basics let start with an example deployment. We will do the following in this section. Note: Few of the operations we perform in this example can be performed with just kubectl and without a YAML Declaration. However, we are using the YAML specifications for all operations to understand it better. To begin the exercise, create a folder names deployment-demo and cd into that folder. Create all the exercise files in this folder. Let’s create a YAML named namespace.yaml file for creating the namespace. Use kubectl command to create the namespace. Now let’s assign some resource quota limits to our newly created namespace. This will make sure the pods deployed in this namespace will not consume more system resources than mentioned in the resource quota. Create a file named resourceQuota.yaml. Here is the resource quota YAML contents. Create the resource quota using the YAML. Now, let’s describe the namespace to check if the resource quota has been applied to the deployment-demo namespace. We will use the public Nginx image for this deployment. Create a file named deployment.yaml and copy the following YAML to the file. Note: This deployment YAML has minimal required information we discussed above. You can have more specification in the deployment YAML based on the requirement. Under containers, we have defined its resource limits, requests and container port (one exposed in Dockerfile). Even though we have added minimal information, after deployment, Kubernetes will add more information to the deployment such as resourceVersion, uid, status etc. You can check it by describing the deployment in YAML format using the kubectl command. Now that we have a running deployment, we will create a Kubernetes service of type NodePort ( 30500) pointing to the nginx deployment. Using NodePort you will be able to access the Nginx service on all the kubernetes node on port 30500. Create a file named service.yaml and copy the following contents. Service is the best example for explaining labels and selectors. In this service, we have a selector with “app” = “nginx” label. Using this, the service will be able to match the pods in our nginx deployment as the deployment and the pods have the same label. So automatically all the requests coming to the nginx service will be sent to the nginx deployment. Let’s create the service using kubectl command. You can view the service created using kubectl command.